Riced cauliflower is an excellent “go to” recipe that I recommend you integrate into your basic home cooking reportoire. I sometimes mix it with diced tomato and chile serrano, making “arroz de coliflor a la Mexicana,” and it makes a great buffet dish. This recipe is straightforward and flavorful. The riced cauliflower acts as a foil for more pronounced main flavors. You can combine it with other vegetables or with meat or fish. 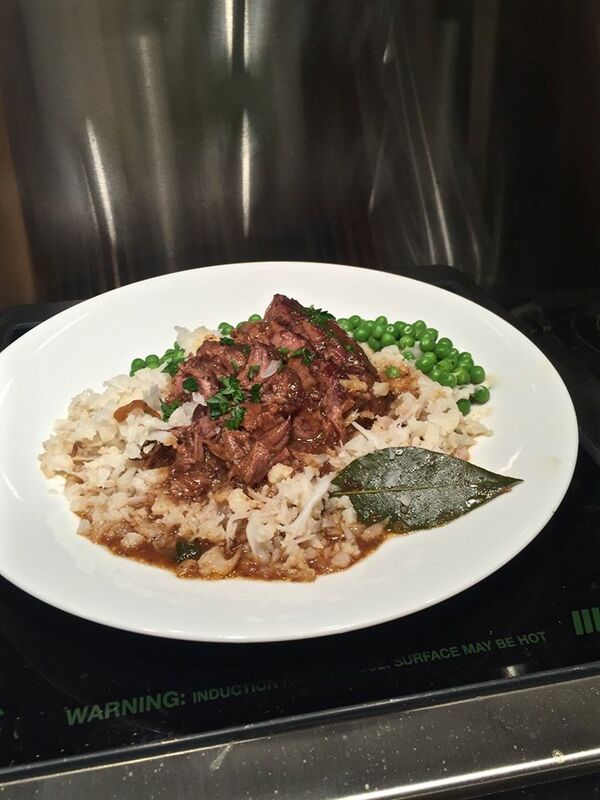 Like white rice, it’s great for mopping up gravies and sauces. I sometimes combine it with carne guisada, braised beef, where it makes a hearty, tasty bed for the meat. Cauliflower was cultivated over 2,500 years ago in the eastern Mediterranean region and arrived in South America in the 17th century. Today it has become integrated into Mexican cooking. My mom sautéed it and sometimes boiled it, serving it alongside other vegetables. I like cooking riced cauliflower because it makes a good substitute for dishes that traditionally include rice. It has a low glycemic index, thus keeping your blood sugar level down. It’s also rich in vitamins and has antioxidants, vitamic C and manganese. Further, eating cauliflower is known to reduce the risk of a number of cancers, such as lung, colon, breast, ovarian and bladder cancer. 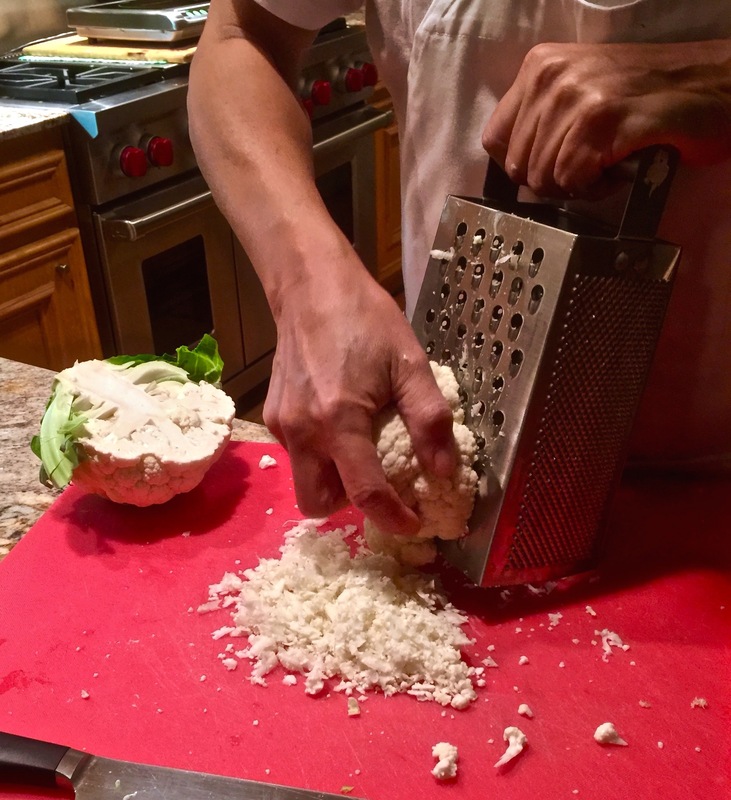 In a skillet, bring the water and salt to a rapid boil, then add the grated cauliflower. Cook for a scant 3-4 minutes until most of the liquid has evaporated. The riced cauliflower will still be firm. Remove with a slotted spoon. Serve it immediately as you would white rice.